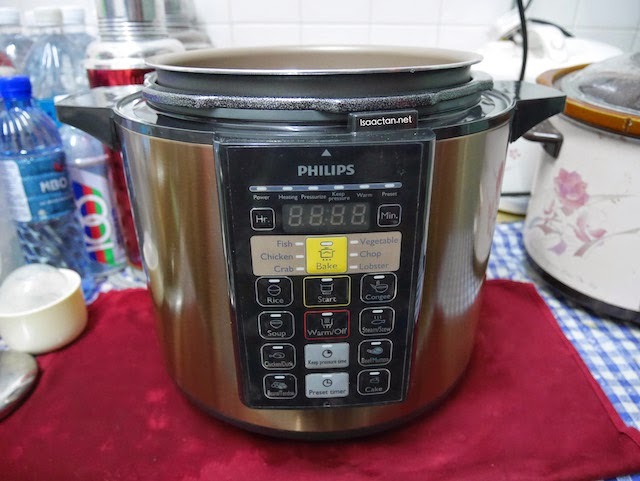 This particular model of the Philips Pressure Cooker came with lots of bells and whistles. 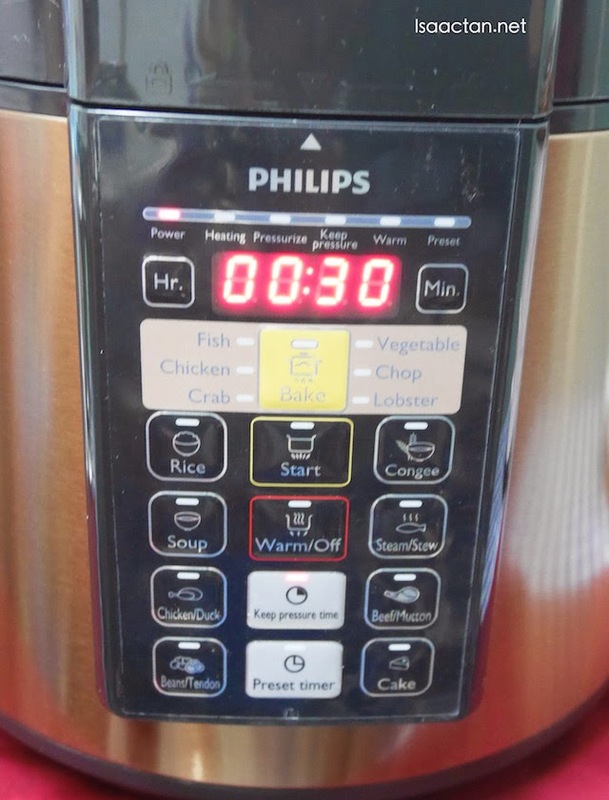 Being rather large is one thing, but it had these multiple display buttons on the front indicating which to press depending on what we plan to cook. Going through the manual, I found it easy to understand, especially with big simple words that read "soup", "rice" "beans" and START. No guesses on which i chose, beans of course! 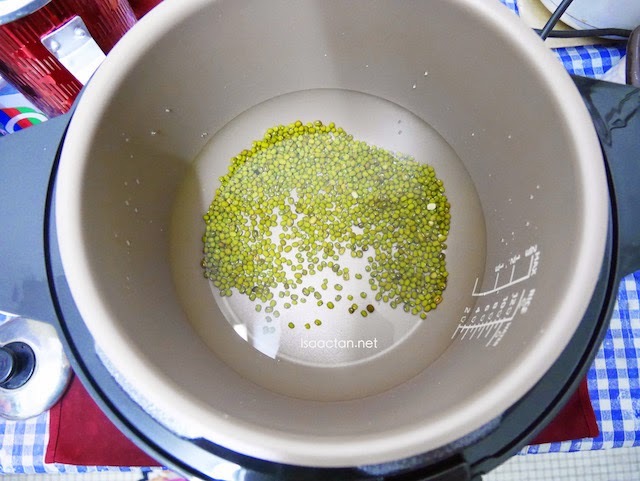 Instructions were simple, add in the green beans, some sugar, add the water to a level indicated with white fonts at the side, press the beans/tendon button, wait 30 minutes, and pray that it will come out what I hope for. 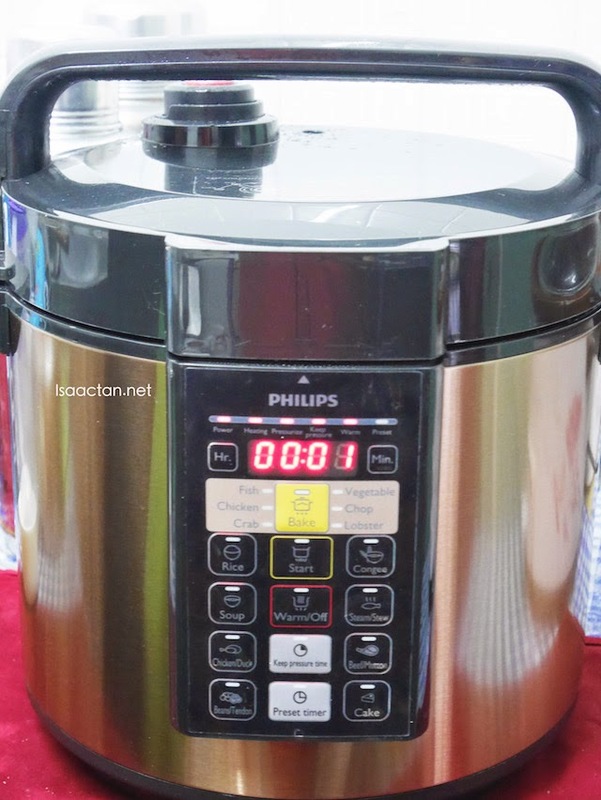 I really like the fact most of the operation of this Philips Pressure Cooker is automated, without the need for us to fiddle with multiple settings. 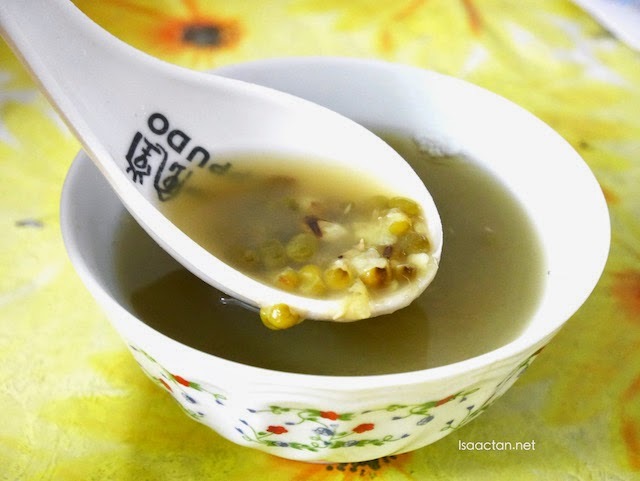 My simple green bean soup is really too simple until I find it embarrassing to list down the ingredients used. I guess it's just green beans, sugar, and water. I did not really have sago that day, hence none were used, but for best effect do add those sagos in. And there you have it boys and girls. Isaac's very own home made green bean soup. Did you know I actually got help from Janice, even though it's super simple? I guess I need to learn how to cook more often. Thanks to Philips Pressure Cooker, I've gotten the basics in, and hopefully my subsequent dishes will be more elaborate. Probably some chicken soup? 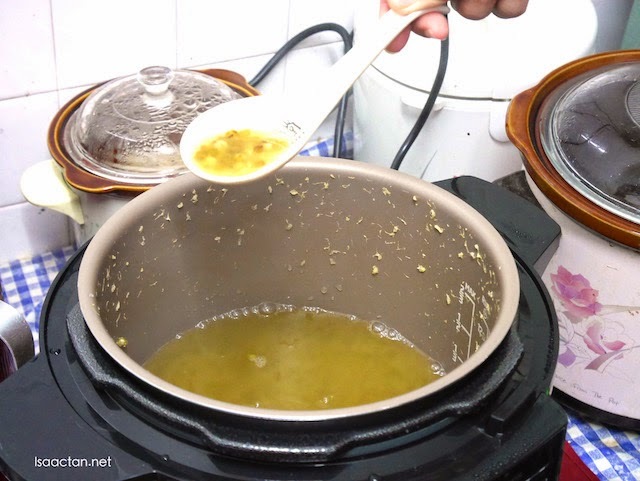 I love tong sui and you are tempting me to get one of these pressure cooker now. 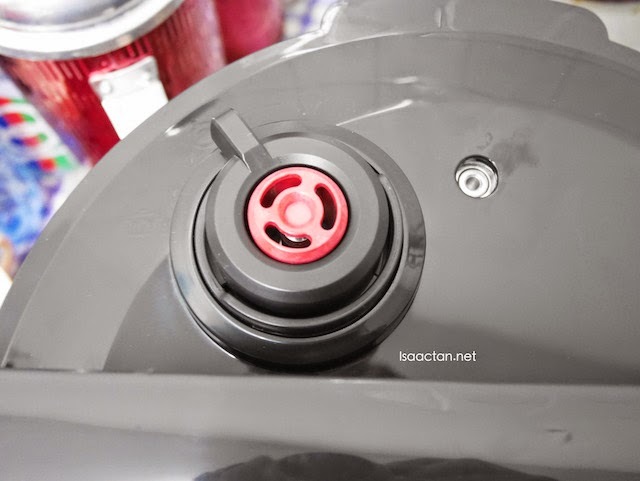 Aiseh..
Merryn, hehe.. its so very simple to do with these pressure cooker. Perfectly done!!! I've been wanting to get a pressure cooker too...but I've read horror stories of people those pressure cookers exploded in their faces. Philips should be fine...not one of those China-made ones you can get online at a quarter of the price. My friend paid RM200 and her mum bought the exact same one from the shop at RM800. How much is one like this? wow looks so easy to cook with it. Suituapui, oh no, am not exactly sure how much this is. I'll check it and let you know soonest ya.